To say Braidwood artist and educator Janita Byrne is qualified for the job is a severe understatement. Her unique capturing of the Australian landscape, often enlivened by undulating mountains and verdant bushland, serves a calming treat for the senses. And now, everyone will have the chance to enjoy an exclusive selection of her paintings, exhibiting in Canberra at the Australian National Botanic Gardens Visitor Centre Gallery, throughout April and May. Byrne has produced a body of work inspired by the High Country of NSW and the ACT. She is captivated by this landscape of granite and snow, as well as the patterns produced by the beautiful snow gums of the ridges and valleys. Janita translates this inspirational landscape into a variety of mediums, including oil and acrylic paintings, pastel drawings and a selection of limited edition prints. Introduced to the High Country as a small child by her father, who worked for a short time on the construction of the Snowy Mountains Hydro Electric Scheme, Byrne inherited his enthusiasm for the mountains and has returned regularly to hike and ski the backcountry and resorts of the Australian Alps. 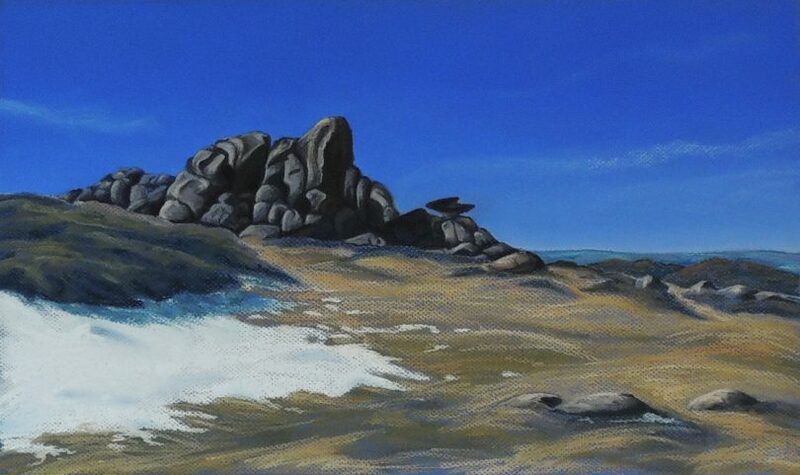 ‘Granite Outcrop’ pastel by Janita Byrne. Byrne is also passionate about the threatened alpine environment and the rare animals and plant species that inhabit it. The artist will be donating 20 per cent of all artwork sales equally between the Australian National Botanic Gardens, for the preservation of our native flora, and the Native Animal Rescue Group Inc. for their injured wombat rehabilitation centre in Majors Creek NSW. A series of limited edition prints by Macquarie Editions, will also be available. Byrne initially trained in Fine Arts at Meadowbank Technical College in Sydney’s north west, after which she pursued a sales, marketing and management career in the art materials industry. It is from this career base that Janita diversified into Arts Education, gaining a Degree in Education majoring in Community Arts from the University of Technology Sydney and teaching in a variety of environments such as Montessori Schools, Corrective Services Education, Home Schooling Groups, as well as Community Colleges and Centres. Byrne has been involved in many arts organisations primarily Artswest and SWARM in Sydney and BRAG in Braidwood. 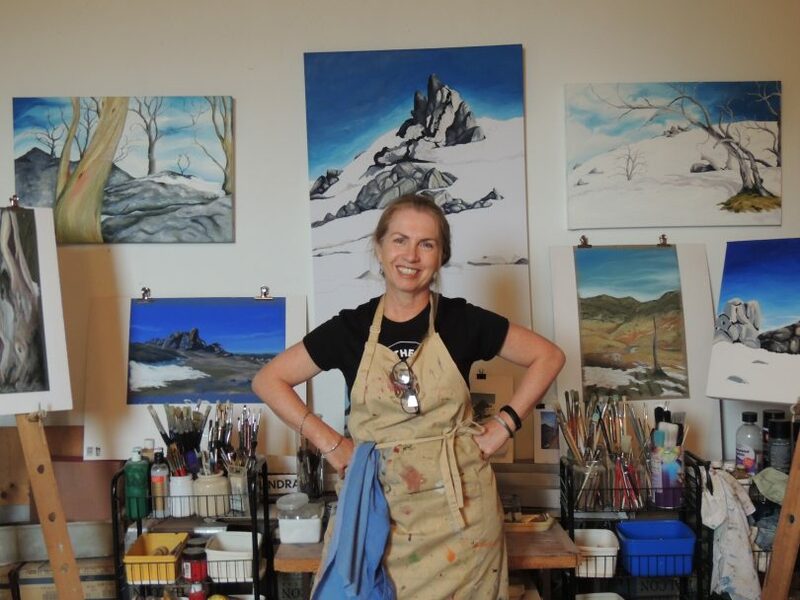 She has exhibited in numerous group exhibitions and facilitated many arts events and projects in both Sydney and Braidwood. Since relocating to Braidwood, she completed her Masters Degree in Visual Arts Education, with a research project in Visual Literacy at the National Gallery of Australia. Janita has worked as an Arts Educator for over seven years at the National Gallery. Byrne has recently been contracted as a sessional lecturer in Visual Arts Education and Drawing at the Australian Catholic University, Canberra. Janita Byrne at work on the exhibition at her bush studio south of Braidwood. For those interested in tuition Byrne specializes in drawing and pastels, and teaches privately with classes and workshops at her ‘Bush’ Art Studio, and other venues in Historic Braidwood. 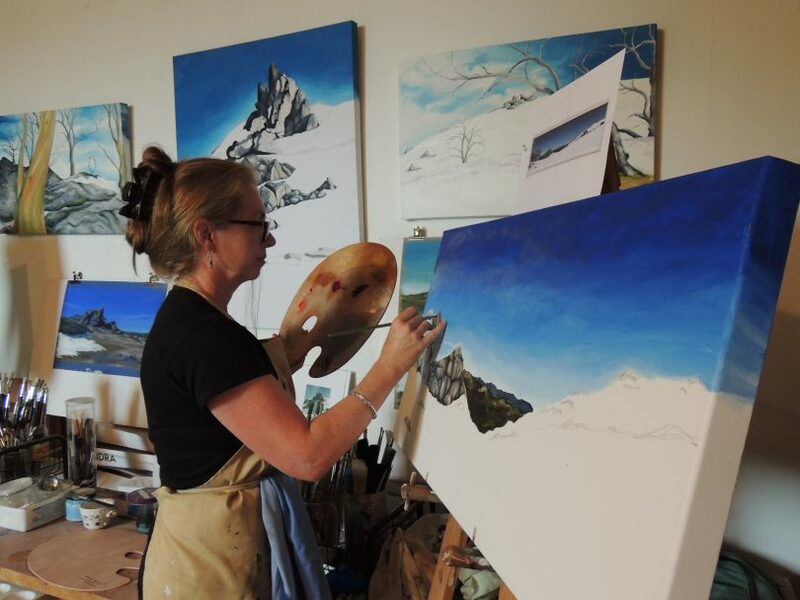 Her studio on her rural property has magnificent views of the Gourock Ranges and the Upper Shoalhaven River Valley. The official opening will be held on Saturday April 20 at 3 pm. Byrne will deliver an artist talk on Saturday April 27 at 2:30 pm. Original Article published by Alex Rea on About Regional.